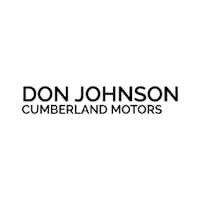 Don Johnson's Cumberland Motors features the latest manufacturer offers and incentives on all new Chrysler, Dodge, Jeep, and RAM vehicles. Discover which offers are best for you and drive off in a new car today. We have a strong and committed sales staff with many years of experience satisfying our customers’ needs. Feel free to browse our new and used vehicles, request more information about vehicles, set up a test drive or inquire about financing! If you don’t see what you are looking for, use our vehicle finder service, and we will let you know when vehicles arrive that match your search! Or if you would rather discuss your options with our friendly sales staff you can call us at 715-318-2889 or visit us at 1925 Elm Street, Cumberland, WI 54829. We look forward to serving you!